Château Latour's 2018 may challenge the benchmark 2010. Heading south from St.-Estèphe, it was time to check in on Pauillac. At Château Latour, director Frédéric Engerer was a bit defensive about showing the grand vin this early in the process. "This is a different baby than usual," he said. "This is a big, brooding, moody, concentrated wine. And we are seeing big differences from week to week as it grows." "We only blended two weeks ago, and it just went into wood one week ago," he cautioned. "The pH was a little high, and we felt it was better to blend it sooner." Despite its youthfulness, there is nothing to fear here: Latour has turned in a benchmark wine, with both the second and third wines also exemplary. 2018 is the first year that all of Latour's vines were under organic growing practices (including some biodynamic), and it's also the year that yields took a hit. "The l'Enclos suffered less than the outside parcels," says Engerer, referring to the heart of the grand vin parcels versus those that go to the Les Forts or straight Pauillac bottling. "The average for Pauillac AOC was [2.8 tons per acre], in l'Enclos we had [2.35], and our outside parcels were [1.5 tons per acre]." "The sorting was very difficult, more so than in the last 25 years," he adds. "You could have a bunch that was half with perfect grapes and half with mildew. The good thing was, you could easily see the mildew, and with the harvest under perfect conditions, you could take your time to sort it correctly, without rushing the fruit in. It was a warm year, but with normal timing of flowering, harvest and so on, unlike '03 or '09." The 2018 Château Latour Pauillac Pauillac, the third wine, is racy, pure and nicely defined, with an expressive beam of cassis and raspberry reduction notes inlaid with light graphite and violet hints. The 2018 Forts de Latour is in the same mold—racy, with cassis and graphite—but a clear step up in terms of depth and layering, with notable tannins coursing through the finish. "The tannins keep coming here, like a mille-feuille," says Engerer, sliding one hand across the top of his other upturned hand and extending it outward for emphasis. Indeed, tannins are the dominant impression here, but not at all as in 2010, when the grand vin was a textbook vin de garde from day one. There's still an expression of vibrancy and freshness, with an exuberant display of fruit, more akin to 2009 and 2016. The 2018 Château Latour Pauillac grand vin takes the profile of Les Forts and dials it up the way the Les Forts dialed up on the Pauillac. It's saturated in feel, yet still racy, with violet, cassis, raspberry and damson plum notes coursing through, inlaid with a terrific streak of iron, showing both racy and grippy elements as the tannins assert themselves on the finish. Benchmarks are benchmarks, and the 2010 vintage remains the undisputed champ of Bordeaux's modern era. But 2018 is going to be a very interesting comparison, if the grand vin from Latour has anything to say about it. Across the street at Pichon Baron, the bow-tied Christian Seely doesn't seem to mind showing the wine off at this early stage. "It was scary—the mildew pressure was intense. I think everyone agrees it was the worst we've seen in quite some time," he says of the start to the 2018 growing season. "No matter how you look after your vines, you were going to have issues. Our crop was reduced, but not as much as some others, as we got an average of [2.6 tons per acre] across our Pauillac properties." "But in the end, with the second half of the season that warm and dry," he adds with a smile. "And with deep gravel soils and old vines with deep roots sitting in a little water down below …"
The 2018 Pibran Pauillac shows the warmth of the vintage in its plush, inviting ball of plum and raspberry sauce flavors. But it keeps definition and freshness overall. The two second wines from the main estate of Pichon Baron are also delicious, the Merlot-dominated Tourelles showing a similar fleshy feel, with its cassis core and a savory flash on the finish adding range, while the Cabernet-dominated Les Griffons is a sleek, tobacco-infused display of cassis and blackberry fruit. The 2018 Château Pichon Baron Pauillac grand vin recalls 2016 for me, as most of the wines in St.-Estèphe and Pauillac have over my first two days here. It's intense, a strapping young wine bursting with cassis, dark plum and blackberry reduction notes, inlaid with lots of smoldering tobacco and warm earth. It's got bumpin' bass, but keeps a fresh mineral note in reserve for latent cut and precision—a very impressive wine in the making. 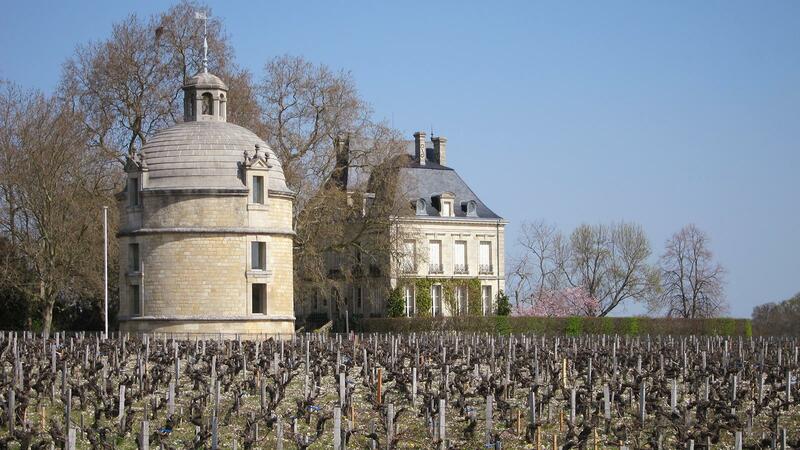 Back across the street again, at Pichon Longueville Lalande, Nicolas Glumineau continues his quest to produce a decidedly Pauillac-styled grand vin. The quest is proving more than successful, with the estate's 2016 its best wine in some time. And the 2018 vintage mirrors 2016 here as well. "The season was normal in terms of timing—flowering, harvest—but the ripening was long. That was the key. Long and even," says Glumineau. "It was so long it was actually difficult to keep the pickers. We had to pay them to wait, because we could take two or three days between pickings waiting for the blocks to be just as we liked. Harvest was four weeks, but only 10 or 12 pickings over that time." Glumineau faced tough farming decisions in 2018 as well. The wet spring necessitated spraying copper sulfate to combat mildew, a practice permitted in limited capacity for organic farming, but one which the E.U. is currently considering curtailing more strictly. Additionally, in 85 percent of the vineyard, Glumineau sprayed non-organic fungicides just before and after flowering; the result was a yield of 2.9 tons per acre. In the 15 percent of the vineyard where he did not spray the additional treatments, he was left with a crop of just 1.6 tons per acre. "I can understand wanting to go in [the organic] direction all the way," says Glumineau of Bordeaux's current trend. "But we have to stop and think about things. There are serious issues here when you are talking about going from [2.9 to 1.6 tons per acre]." The 2018 Pichon Longueville Lalande Pauillac grand vin is yet another near replay of the 2016, offering intense cassis and blackberry notes that are both fresh and steeped in feel. It has both creamy and racy elements throughout, with graphite and singed mesquite mixed with sweet tobacco and a flash of warm stone. The acidity is very streamlined, pulling everything together for the encore on the finish. It's another classic in the making, with perhaps just a half-step more energy than the superb '16.